While domestic digital video ad spending reached $2 billion in 2011, Forrester predicts that figure will rise to $5 billion by 2016. The 250% increase will likely be due to higher video quality, an explosion of video-viewing media devices, growing branded video content, and the widespread acceptance of younger audiences. MediaPost.com recently offered details on this promising digital forecast. 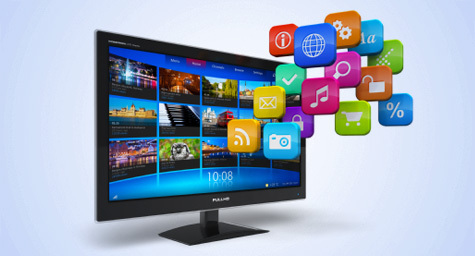 “Linear TV is unrivaled in its audience reach, but various forms of digital video are emerging as efficient advertising channels that enable marketers to target and engage consumers on a deeper level,” said Forrester analyst, Tracy Stokes. “Forward-looking marketers will shift their approach away from planning silos and form a holistic video strategy that integrates TV and digital video into one team. Many large Web companies are already rapidly increasing their production of digital video content. Advertisers are following their lead, with ad sellers from TV and digital video tailoring their packages to media buyers. New cross-platform measurement options are also being developed by companies such as Nielsen and Kantar. Currently, 37 million U.S. households own a connected media device for watching digital video on their TV screens. This is an increase from fewer than 25 million in 2010, according to Forrester. The firm projected that connected media access will reach 50 percent of U.S. households by 2016. In addition, younger consumers are the leading users of these media devices, which bodes well for their continued growth. To learn about the latest digital marketing opportunities for your business, contact MDG Advertising.